Replacing your roof is a big decision. It goes without saying that you want the best roofing contractor for the job. But how do you know what to look for? Most people will only replace a roof once in a lifetime. It’s a big investment, and you want to make sure you choose the right company. Here are 10 questions to ask before you decide on a roof installation company. At Nu Look Home Design, we’ve been installing roofs for homeowners in the Mid-Atlantic region for over 20 years. For two decades, we’ve built a foundation of trust with homeowners in Virginia, Maryland and New Jersey. Chances are, we’ve installed a roof for someone in your neighborhood. 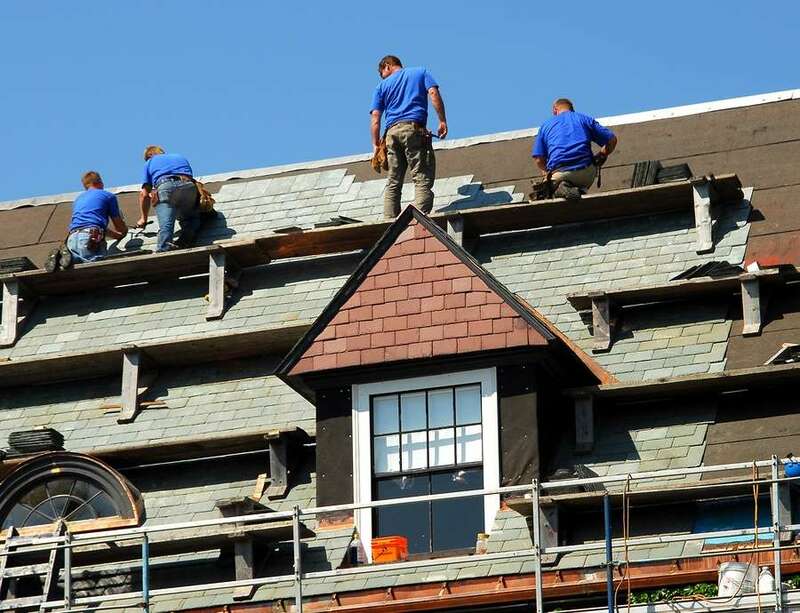 A high-quality roofing installer will also carry all required insurance for its workers, which will cover them in the event someone is hurt during your roof’s installation. As a homeowner, you should never work with a contractor that can’t provide proof of proper insurance for its employees. What do other homeowners have to say about the roofing contractor? You can ask the company if it has a list of homeowners you can call, or you can check online for information about the company’s past jobs. GuildQuality is an excellent third-party review site that lets homeowners leave real feedback for contractors. You should also be skeptical about contractors that show you nothing but five-star ratings. While this might sound great, it’s most likely not an accurate representation of their work. Any company that performs thousands of roof installations each year is going to have a certain number of less than favorable reviews. At Nu Look Home Design, we enjoy a 94 percent satisfaction rate among past customers, which is unmatched in the industry. Will the roofing company send its own workers to your home? The last thing you need to worry about is waking up on installation day and seeing an unfamiliar work crew on your property. The unfortunate reality is that some roofing contractors outsource their jobs to third party independent contractors. When they do, the manufacturer of the roofing materials is quite likely to void the warranty that comes with the materials. Furthermore, you have no way of knowing whether the independent contractor is qualified to install your new roof. Be wary of roofing companies that use these types of bait and switch tactics. At Nu Look Home Design, we don’t accept a single penny in payment until you are completely satisfied with your roof. And if you’re unsatisfied for any reason, we guarantee we will make it right. Nu Look Home Designs is an Owens Corning™ Platinum Preferred Contractor, which is an invitation-only status held by just 1% of roofing contractors in the United States. When you work with us, you know you are in good hands. Best of all, you have the peace of mind that comes with knowing your installation is backed by our warranty, as well as the Owens Corning™ lifetime guarantee. Is it time for a new roof for your home? Work with the best in the industry. Call Nu Look Home Design today to find out how you can get 50% off all roofing materials. Give us a call at (800) 279-5300.